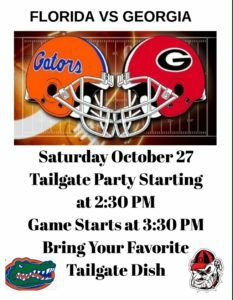 October 2018 – Horace Orr Post 29, Inc.
Bring a dish to share and wear your team colors. Tonight is the night. 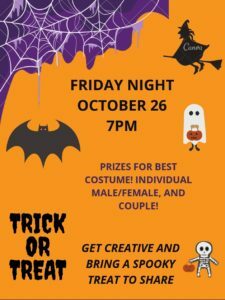 Don’t be scared, be SCARY!! The Auxiliary is holding a 50/50 raffle tonight in the Social Quarters. Help them send more girls to Girls State. The Webmaster is producing a series of short video tips to help veterans access many of the tools available online at the Post 29 website or the American Legion website. The first video describes How to Find a Legion Post anywhere in the world. Watch it here. Are you a combat veteran? Do you know a combat veteran? The Witness to War Foundation will conduct FREE video interviews October 29-November 2 to preserve the oral histories of combat veterans, honor their service and promote the education of military history for future generations. A copy of all interviews is given to the Library of Congress’ Veterans History Project. “It is about the ‘foxhole’ or ‘windshield’ view of combat as seen by the soldiers, sailors, and airmen who experienced it. It is about the fear, the emotions, the training, and the previously untapped wells of personal courage that enabled ordinary individuals to survive, and in some cases thrive, under extraordinary pressures and almost unimaginable danger,” according to their website. The Witness to War Foundation is dedicated to understanding, as much as possible, what it was like to ‘be there.’ To date, the Foundation has helped capture the stories of over 2,400 veterans across the country. 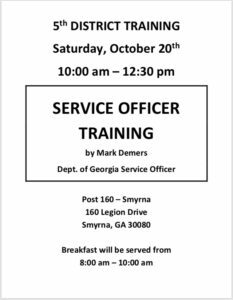 To schedule your interview, please call Mike Nichols at 770-528-1448. Veterans from all conflicts are welcome to participate. The Executive Committee of the Auxiliary will meet at 6:15PM on Tuesday October 23rd. The Monthly SAL meeting will be Tuesday October 23rd at 7:00PM.